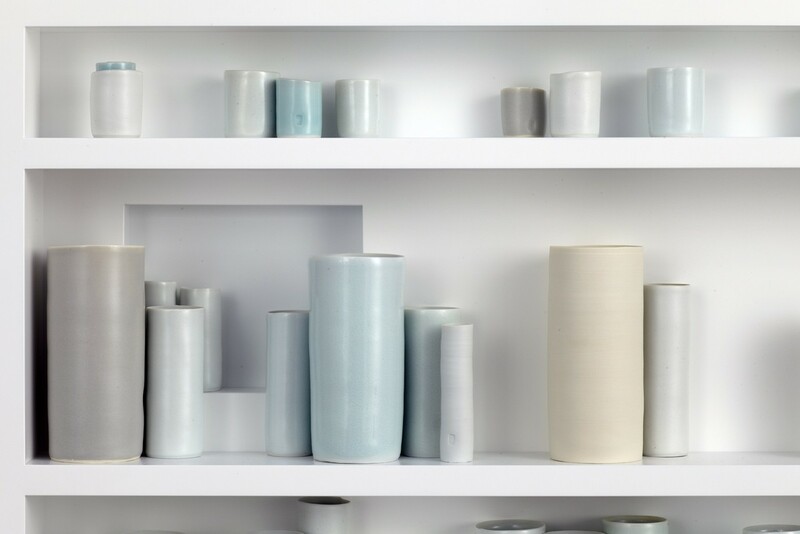 In England, Edmund de Waal is a celebrated potter, known for installations of impeccably made vessels in soft shades of celadon or white, many of them permanently displayed in places like the Victoria and Albert Museum here. But in the United States Mr. de Waal is known primarily as a writer whose 2010 family memoir “The Hare With Amber Eyes” became a surprise best seller. Despite countless rejections from publishers, it ended up selling more than 1.5 million copies, has been translated into 26 languages and was recently optioned for a movie. Like the netsuke, Mr. de Waal’s own work is three-dimensional, tactile and painstakingly fashioned, but in his own Minimalist and modern language. He produces objects like wafer-thin cylinders, plates and pitchers, carefully arranged to tell a story. While collectors like the cosmetics heir Ronald S. Lauder and Sotheby’s vice chairman Charles Moffett have purchased examples of Mr. de Waal’s porcelain, there has never been an exhibition of his work in the United States. But after the dealer Larry Gagosian read the memoir, he was curious to see Mr. de Waal’s art. “They’re really poetic installations,” Mr. Gagosian said of his decision to present a major show of Mr. de Waal’s porcelain at his Madison Avenue gallery, opening on Sept. 12. The soft-spoken Mr. de Waal, dressed in clay-splattered bluejeans and a white T-shirt, recently showed a visitor through his new studio, a commodious space in an old munitions factory in Dulwich, an area of South London. Music was playing continuously (Glenn Gould, Meredith Monk) and the white walls were filled with installations of thousands of fragile porcelains waiting to be packed up, vessel by tiny vessel, and shipped by boat to New York for the Gagosian show.